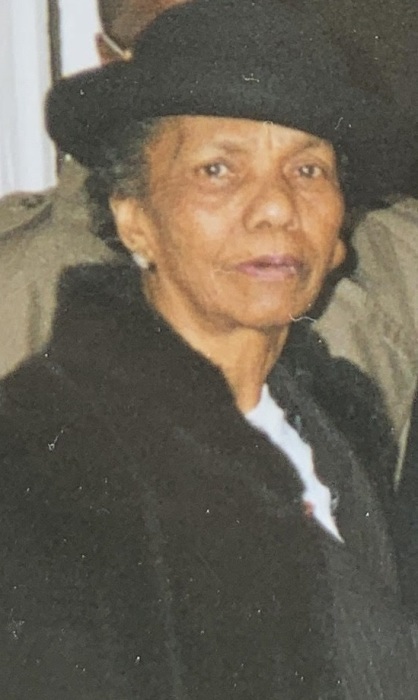 Annie Hughes Gunter, 87, of Stafford Street departed this life on Friday, March 8, 2019, at Mercy Medical Center. Born in Virginia, Annie was the daughter of John Myers and Mouler (Taylor) Myers. She lived here since 1962 and attended The Church of Overflowing Love. Predeceased by her parents, her husband George Gunter Jr., and daughters Virginia Madison and Juanita Gunter, she is survived by a son George Jr of Springfield; two daughters Mary McMillian of Springfield and Annie Mae Perkins of Blairs, VA; one sister Leola Bacon of NYC; 9 grandchildren; 18 great-grandchildren and 7 great-great-grandchildren. The calling hour is 11:00 a.m. on Tuesday at The Church Of Overflowing Love , 22 King Street, followed by the funeral at noon with burial in Oak Grove Cemetery.